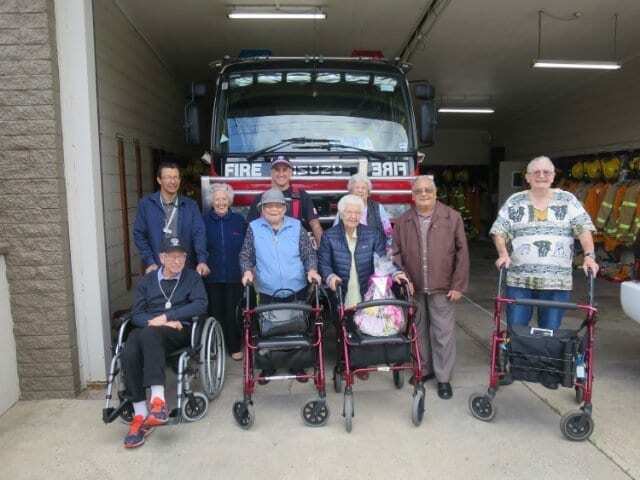 The Keysborough Community had the interesting opportunity to meet some local heroes from the Keysborough Fire Brigade recently. Only a short walk away, clients were fascinated to hear about the history of the station. It was built in 1956 when Keysborough was just market gardens. Today, it is run by a group of dedicated volunteers who live locally. As volunteers they have to fundraise for everything that needs updating or apply for a government grant. They find sausage sizzles to be a great fundraising tool. The team like to develop connections with the local community to ensure everyone is fire ready and safe. 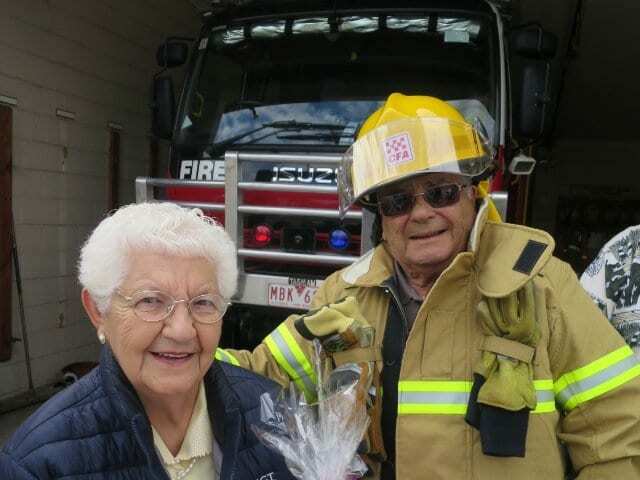 Clients were treated to a delicious morning tea put on by volunteer Wayne and his wife Kaly who organises all the fundraising. The group was interested to learn that the vast majority of volunteers also work full time. They have approximately four minutes to get into their car and drive to the station to get suited up to head off to a fire or car accident. Sometimes they get home late at night after a call-out and then have to head off to work again at 6am. The group from Arcare Keysborough was thoroughly impressed with their dedication and thanked the volunteers for their hard work in looking after the community. 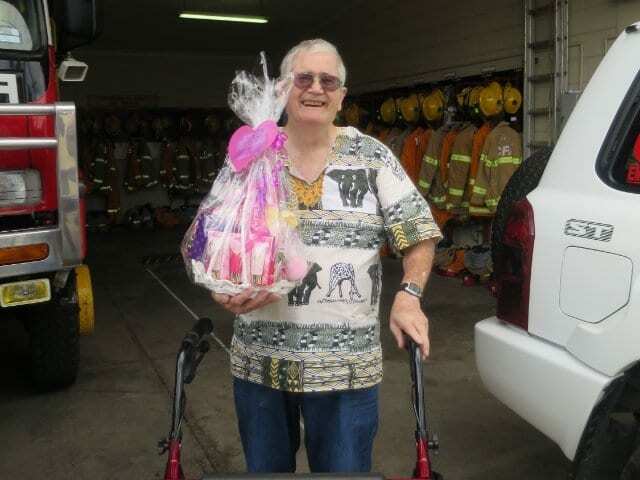 They also donated a hamper full of goodies to help with the fire station’s Pink Ribbon Day fundraiser.